Jypyä Pop (Turku, Finland) on 11 January 2018 in Lifestyle & Culture and Portfolio. I do not know what it is, but I like the image. @Graciel·la (Vic. 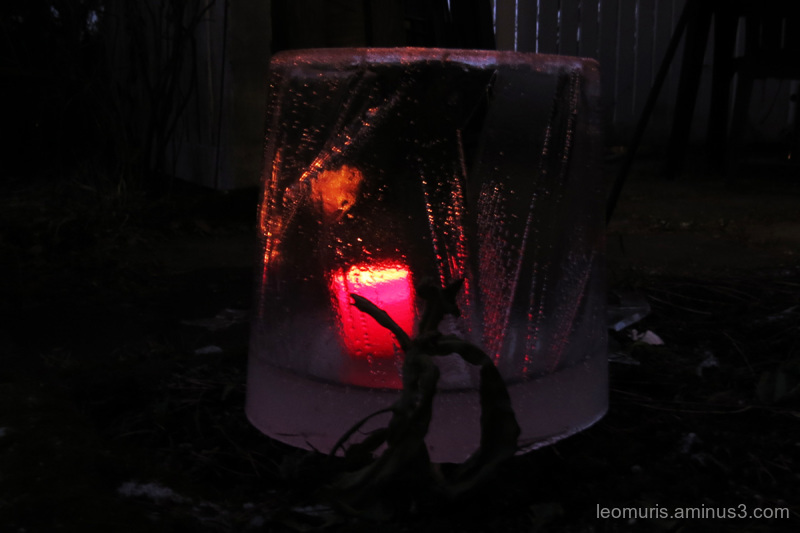 Catalonia): t is a lantern that arose when a bucket of water froze and after that the bucket was taken away. When the veil had flown out of the "lantern", it could put a candle there and the work of art was ready. what a lovely image here !!!!!!!!!!!!!!!!!!!!!!!!!!!!!!!!!!!!!!! Beautiful ambiance creating with the lighting here!! A magic little world ! Beautiful ! Interesting work of art. Very creative. Lovely effect and light the pink candle gives off. In ice ? Beautiful effect. A nice beacon on a dark night. Neat shot. Ahhh !! Very great idea !! Thanks for the explanation. @Graciel·la (Vic. Catalonia): Thank you to yourself.